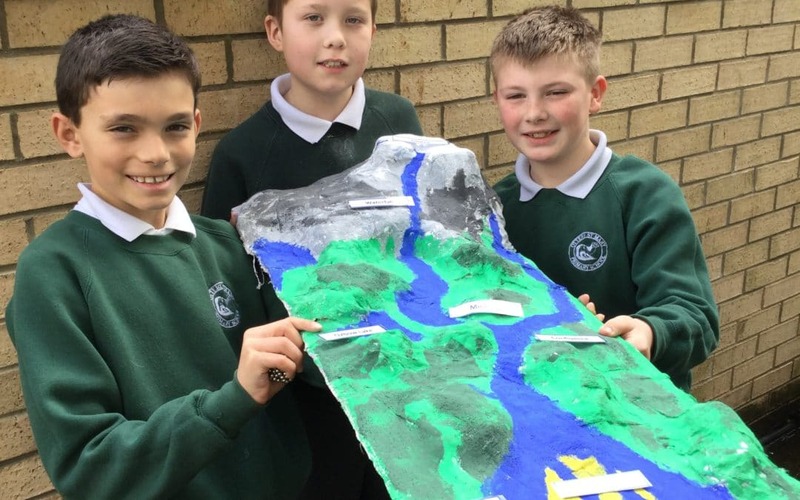 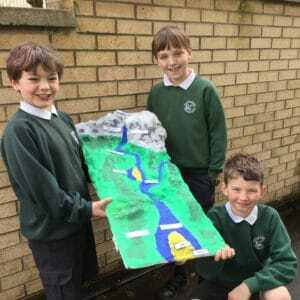 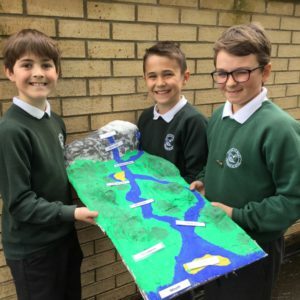 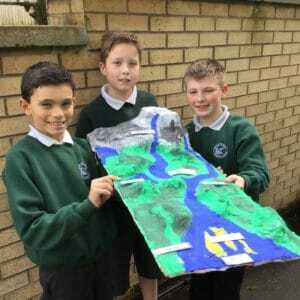 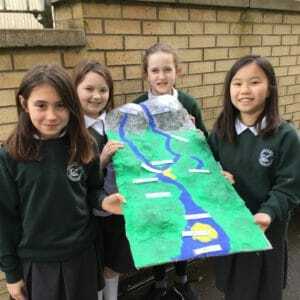 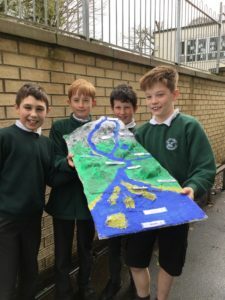 To bring our rivers topic to a conclusion, the children made these excellent 3D models of a river system to show the course of a river from source to mouth. 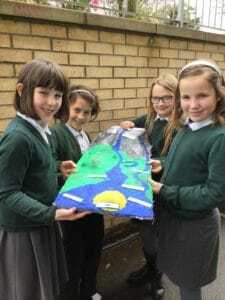 Firstly, they used scrunched up newspaper to build the land contours onto a cardboard base. 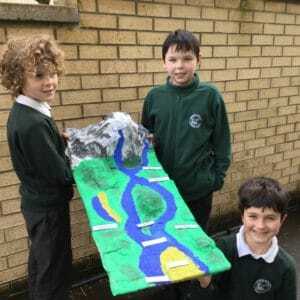 They then carefully layered MODROC (bandages coated in plaster of paris) over the top to form and shape the landscape. 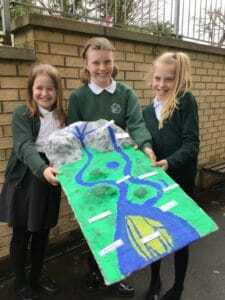 Once dry, they expertly painted their models and labelled the features. 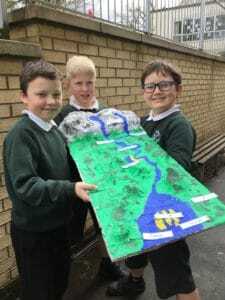 The children are very proud of their models and we hope you will agree that they really look fantastic!